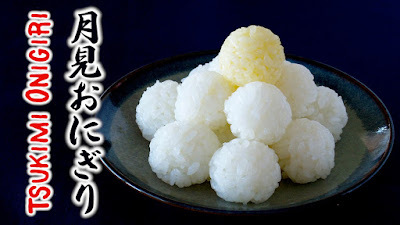 Tsukimi (月見) is moon-viewing, also known as Jugoya (十五夜), refers to Japanese festivals honoring the mid-autumn full-moon. We decorate with offerings of Tsukimi-Dango (月見団子 moon-viewing dumplings), made to look like the moon. 1. Season the rice with rice seasoning if you like. 2. Fill the rice lightly up to the height of the container. 3. Shake up and down for 20-30 times.